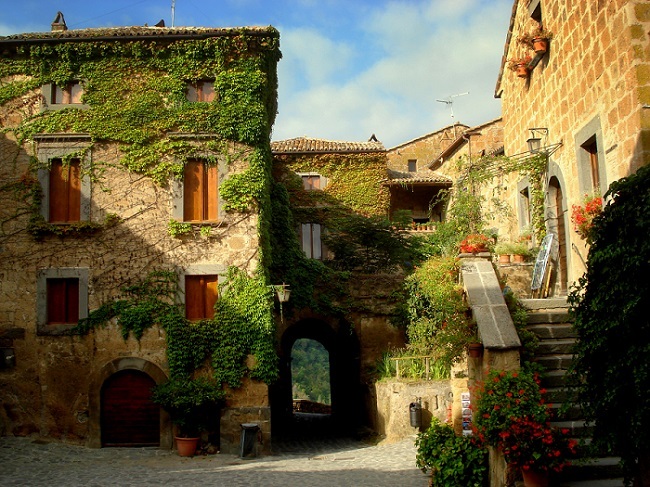 Located in the region of Lazio, very near the border with Umbria and less than two hours north the Rome, you can find one of Italy's most charming and uncrowded medieval hill towns, Civita di Bagnoregio. Although Civita (pronounced Chee-vee-ta) is relatively small, only about 300m in length, it is well worth a visit. It has been given the nickname, "The Dying Town", due to the fact that the edges of this village have been eroding and crumbling down to the valley floor below caused by very infrequent earthquakes in the area. We came here to do our wedding photos and we fell in love with the beautiful surroundings, the atmosphere and the peace and tranquility. 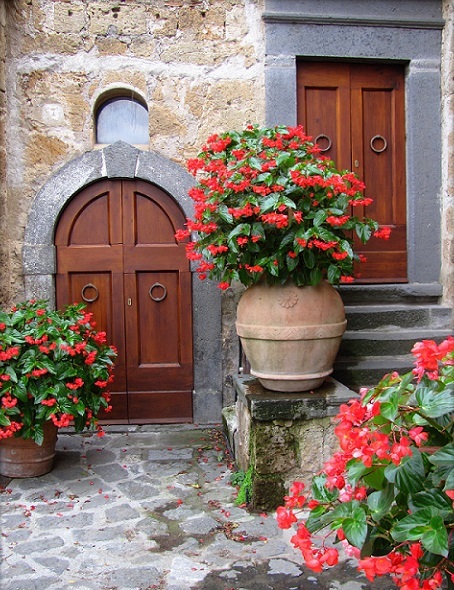 We stayed for two nights at Antico Forno B&B (Ancient furnace) a 900 year old building whose interior has been modernized to today's standards. It's run by Franco and his staff. If you choose to stay here you'll most likely be given the keys to the 'castle' as they don't live in the B&B, but in the town of Bagnoregio. 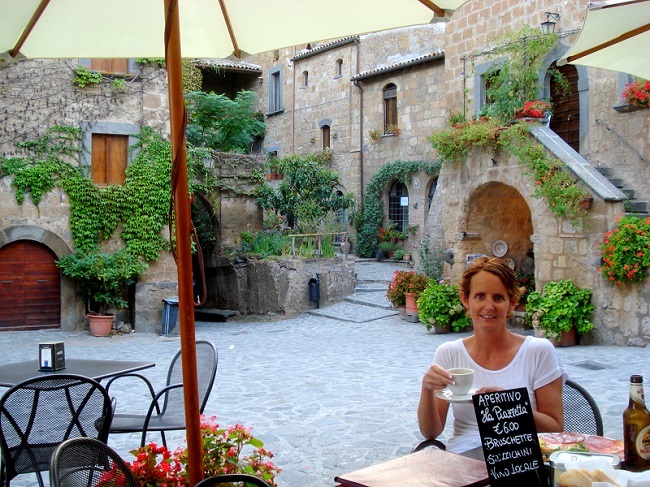 Here are some of the other options in and around Civita. We caught the 10:35am train from Rome to Orvieto which arrived at 11:45am. The station for the funicular is right beside the Orvieto train station, which makes it easy to get up to the top of the old town of Orvieto. 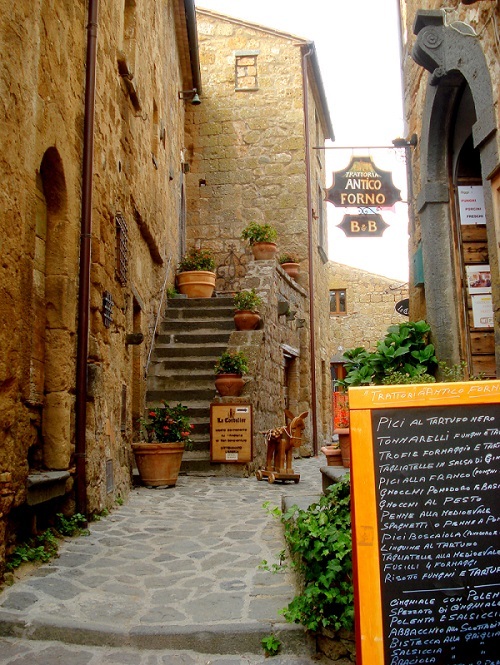 Go immediately to the Tabacchi shop (down Corso Cavour, the street to your left as you exit the top funicular station) to purchase your Sita bus tickets to Bagnoregio. You must go there before they close down for afternoon siesta. 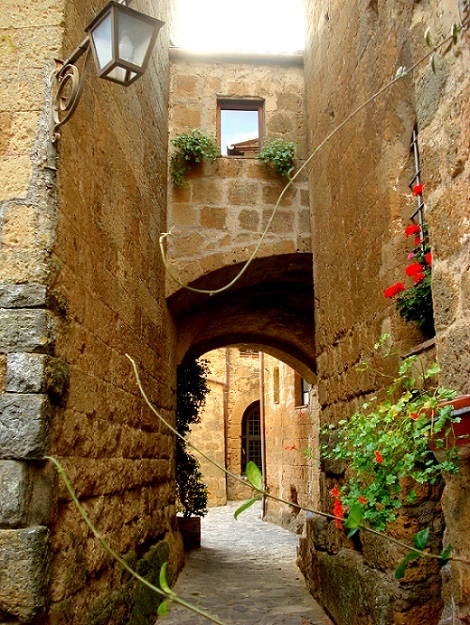 Be sure to purchase round trip tickets as you will not find a place open in Bagnoregio when you are ready to return. Note: In Italy it is your responsibility to validate your ticket once entering the bus. Fines can be steep if you don't. The bus leaves between 1:30 and 2 o'clock in the afternoon and is the last one of the day. A taxi or car for hire may work better for you. It's only about 16km from here and it will give you much more time to explore Orvieto and it's treasures, which really shouldn't be overlooked. 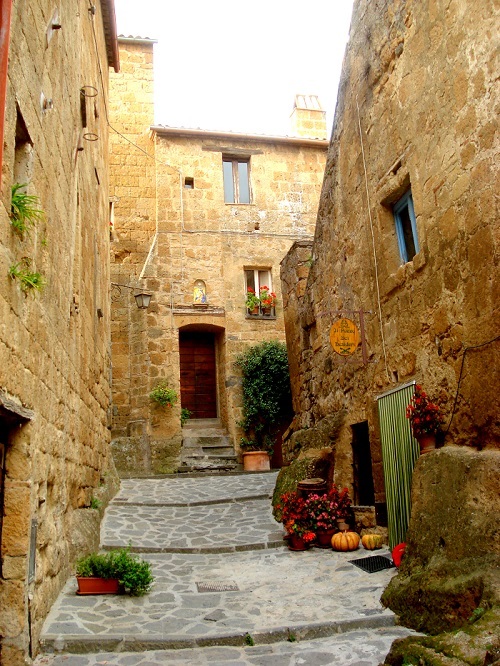 Once in Bagnoregio, the bus will drop you off, but on the opposite side of town from where you need to be. 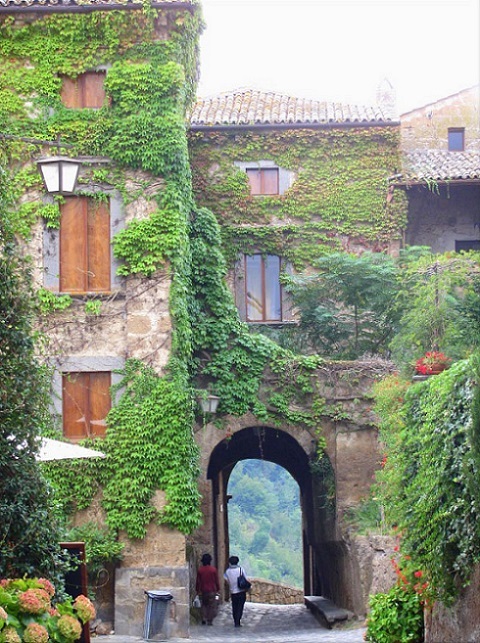 Most people just walk through town to the bridge to Civita. If you've rented a car, there is a car park at the base of the Civita walking bridge. Other than the stunning beauty of the place, one of the things we liked best about it was that for the first several hours of the day we had the entire place to ourselves. Tourists didn't start trickling in until about 11:00am and most of them were locals. The restaurant and cafés open early enough for you to enjoy a cappuccino and have a bite to eat before you start your day. There is an ancient olive press mill converted into a restaurant and a collection of old local artifacts housed by one of the few remaining residents. I can tell you how beautiful it is around every corner but you just have to see it for yourselves. Treat your soul and your senses and experience Italy at a slow and relaxed pace away from the busy streets of the cities, galleries and monuments. You'll be glad you did. Items of interest in the area: Orvieto. A hill town itself with a rich papal history and great local wines. Michelangelo came here to study the frescoes in the Cathedral by Luca Signorelli. The Cathedral itself has the finest facade in all of Italy. Look into St Patrick's Well and enjoy the towns medieval architecture. Also: Bomarzo's Monster Park in nearby Bomarzo.